The Partner is a good cook! 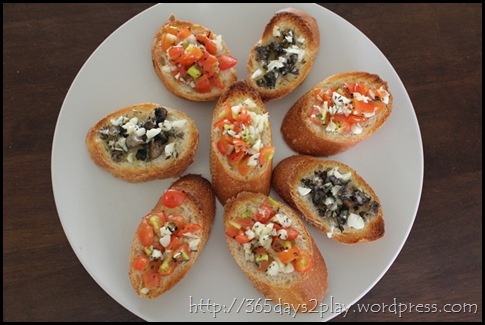 We recently procured some good extra virgin olive oil, so he decided to make some bruschetta for lunch. The toppings are diced tomatoes, mushrooms and garlic. He also made some without the garlic. The difference is amazing. 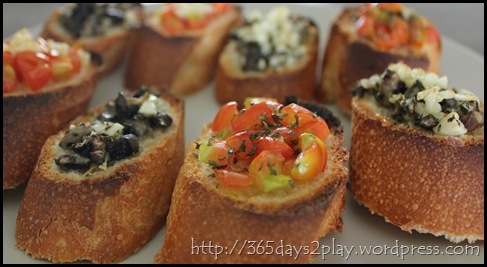 The bruschetta tasted so much more alive with just a few extra bits of garlic! Also a very nice way to go meatless for a meal. 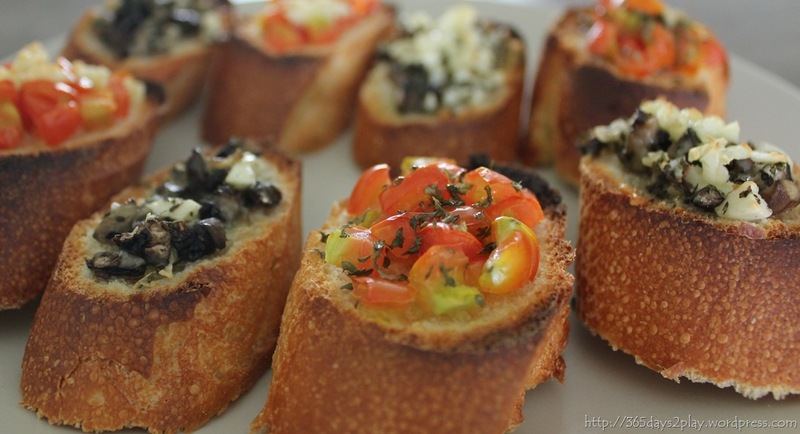 This pic is making me hungry! Thanks!! I will tell the partner. After the trip, need to cook more to save $$$$$.